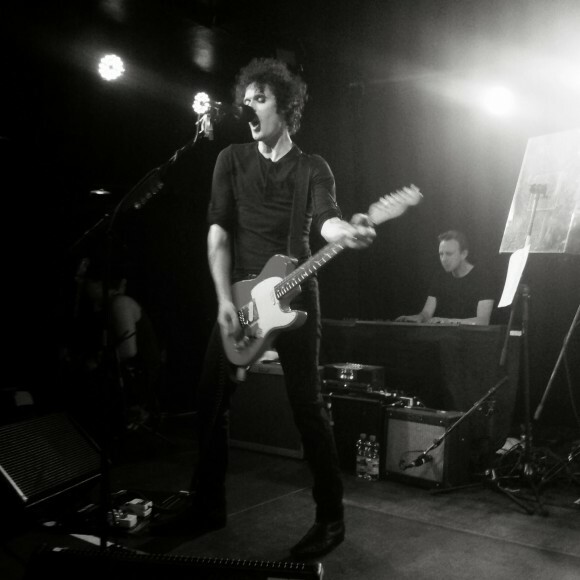 The Scottish indie rock band The Fratellis finally came back to Munich! I met their bass player Barry Fratelli for an Interview on monday. So first, how’s the tour going so far? It’s going very well, we haven’t been to Europe for a while so most of the shows are sold out, which is really nice, and yeah it’s been going really well. Which musicians inspire you guys most? Oh thats a big question to start with.. bandwise I guess classic bands like The Who, The Clash. I like lots of modern soul, it’s good for bass players and drummers. You can take some of that and put it into the rock music, thats’s quite interesting sometimes. If you wouldn’t make music, what would you probably be doing now? I’d like to make films, that would be great. What do you like most about being on tour? I love to travel, even before I was in bands and stuff, I have always been backpacking and travelling around and all that. So to get to do that, it’s pretty good. You got a new album out (called ‘We need Medicine’), which I think is absolutely awesome, in which way to you think is it different to the others? I guess its more..or well actually it’s not really different cause we’re the same band members, the same songwriters. The only thing that changed is time, cause obviously we had a break in the middle. We had a 5 year break, it changes people, and it changes you as a musician. You may get a little bit better and maybe that influences what you do. Beside that, it’s just us, it’s the same old stuff haha. What was your best festival experience? Ever? Oh that’s hard..there are so many good ones.. Festivals are very different to doing your own show, at your show you got more control and you know the people are really there to see you. But at a festival there are some who are just there to see the band after you and yeah, you know.. We played a festival in America with the Beastie Boys, which was great. We did one a few years ago, it was Rage Against The Machine – Queens of the Stone Age – The Fratellis, which was pretty cool as well. So yeah.. You recognize you’re doing okay when you see Rage Against The Machine, Queens of the Stone Age and your band on posters and T-shirts and stuff, it’s pretty cool. Have you got a dream venue you’d like to play? I’d like to play the stadium in Glasgow, I’m a big Celtic fan.. I’d love to do it with the Fratellis, and yeah, that would be good. Which advice would you give young musicians who are just starting with music? Sounds really cliché, I know, but don’t give up. Because someone might gonna tell you you’re not good enough, or you’re not a musician, so yeah just keep doing it, have faith in yourself. If you don’t believe you’re good enough, how can other people do?